Native apps are called so because they are developed for specific platforms, such as iOS, Android or Windows Phone. If you are thinking about going worldwide, you’ll have to build separate versions of your app for each platform, done by different coders. Safety and security of native apps are guaranteed by the approval of an app store they were released on. Why should you focus your efforts on developing a native app? Because they provide an unparalleled user experience among all mobile apps; native apps mean success. Android is as an open source worldwide popular operating system that offers enough options to develop robust and flexible applications. 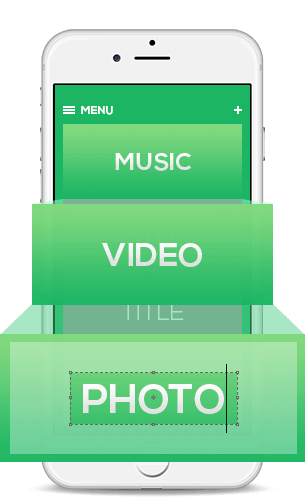 Do you want to have a highly customized application that will outshine hundreds of identical and faceless ones on Google Play? Just imagine all these myriads of Android devices and operating system versions that exist today – Eastern Peak Android app developers will help you to conquer them all. Windows Mobile is a good platform for creating robust and engaging applications for any purpose. As a Microsoft Certified Partner, Eastern Peak has rich relevant experience in delivering stable and functional apps for Windows Mobile.